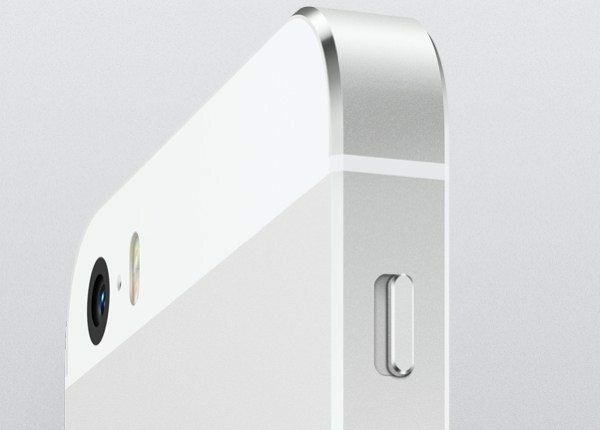 Apple iPhone 6 predictions are already intensifying following Tuesday’s official unveiling of the iPhone 5S and 5C. A pattern has emerged over the last few years of Apple iPhone events. No sooner has one new iPhone been announced than the focus starts to shift towards the next one. This year is no exception. To some extent we can forecast some of the likelihoods of the premium iPhone for 2015, by looking at the next possible upgrades and also by noting what hasn’t yet appeared. This year for example, some of the most rumored inclusions for the iPhone 5S were NFC and a larger 128GB storage option and, yet both of these failed to materialize. There have been murmurings of NFC coming to the iPhone since before the iPhone 5 released last year, and yet it was still a no-show for the iPhone 5S. NFC-enabled phones are becoming much more commonplace and this is now a feature of many high-end smartphones. Its non-appearance this year surely means that it should come to fruition in the iPhone 6. The vast majority of rumored specs for the iPhone 5S did come to pass, such as the new A7 processor and improved camera features. However, another piece of speculation concerned a larger 128GB storage option, and this was also missed from the iPhone 5S and so seems more than likely to arrive for the iPhone 6. Although the iPhone 5S does have a better camera set-up than previously, there’s still plenty of room for improvement. For example the Sony Xperia Z1 has a 1/2.3 size sensor and this is something that Apple could consider for the iPhone 6. Recently we saw leaks that suggested the iPhone 6 will have a larger display size, anything up to 6-inches although a 5-inch screen is deemed most likely. We have been informed that Apple is testing iPhones with a range of display sizes so this looks virtually a dead cert for the iPhone 6. A better battery life is always something that goes down well with customers, especially with the ever-increasing daily use of our devices. Battery life of the iPhone 5S and 5C are both improved over the iPhone 5 but time and time again we see iPhone users criticizing battery drain. It would be great if Apple were to make the battery a much-improved feature for the iPhone 6. Just as we think we’ve thought of everything we note that Cnet suggests the new Wi-Fi version, Wi-Fi 802.11ac for the iPhone 6. This arrived for the flagship Samsung Galaxy S4 this year, so this is definitely something that Apple should take into account for the iPhone 6. Finally, Trusted Reviews suggests that waterproofing is another prospect for the iPhone 6. Phones like the Sony Xperia Z and Samsung Galaxy S4 Active have made this a more mainstream addition to smartphones, and Apple could think about this for next year’s iPhone. Many of us would like to have the peace of mind of our iPhone’s being water-resistant. These are just a few predictions for the 2014 iPhone 6. It would be interesting to hear what you feel the chances of these changes are, and also what other iPhone 6 specs and features you’d like to see? We’re always interested to read your comments, so why not let us know your thoughts. First and formost, they really need to increase the screen size.